Interessant ist hier die Zeile mit dem AccelerationProfile. Profil Nr. 2 ist hier das neue Profil. Eine gleichnamige Option kann natürlich auch direkt in die xorg.conf eingetragen werden bei dem jeweiligen Gerät. Die übrigen Zeilen legen die Konfiguration für meine Tastatur fest. $ xinput list-props "Logitech USB Optical Mouse"
Vermutlich sollte man anschließend die Mausbeschleunigung wieder ein wenig zurücknehmen, falls man diese vorher höher gestellt hat, da der Beschleunigungseffekt nun früher und graduell einsetzt statt wie vorher ab einer gewissen Schwelle und schlagartig. Kein Sound mehr in KDE seit PulseAudio-Update? The new Amarok 2.2.1 is great. Editing metadata finally seems not to disturb Amarok’s stability and doesn’t make the collection scanner choke and eat endless amounts of memory. And finally I can use it as the coolest „ambient“ music player again: Party mode is back. Err, okay it was back before – BUT: it finally works. Not to forget to mention its performance has vastly improved. To conclude these words: Yeah, it’s finally back on my desktop. Thank you, dear Amarok team. Great job! I have my Amarok OSD in the top center of the screen – exactly where the buttons are. Changing the track covers the buttons. I fixed this by changing to the slim toolbar but I miss the big buttons then (which I hated when they first came up btw). It is waste of screen real estate. Come on? We are all going to have widescreens. And what do you guys do? You make a redesign targetted to good old 4:3 times: Less width, more height. The now-ultra-long progress bar looks ugly. The new layout has no place for important and/or useful buttons and info texts which could’ve been put there otherwise. In the end it’s totally counter-productive to the 3-column widescreen layout of Amarok. Please change that. You cannot remove track numbers from the metadata. Once set, they will always remain there. Trying to remove them and tabbing to the next field simply make the numbers reappear. Clicking on „save“ while still in the field also doesn’t help – it’s just ignored and reset to the previous value. Does nobody use the metadata editor that it is treated such poorly? Using the metadata editor often results in Amarok to freeze for some seconds (the sound however continues to play, so it’s not that annoying). The playlist still has strange ideas of what should be grouped together and what not – most often when you remove a track from the playlist. ALL MY SONGS ARE ZERO SECONDS LONG?! No, I can’t believe that! BTW: The progress bar shows interesting timing information because of that. 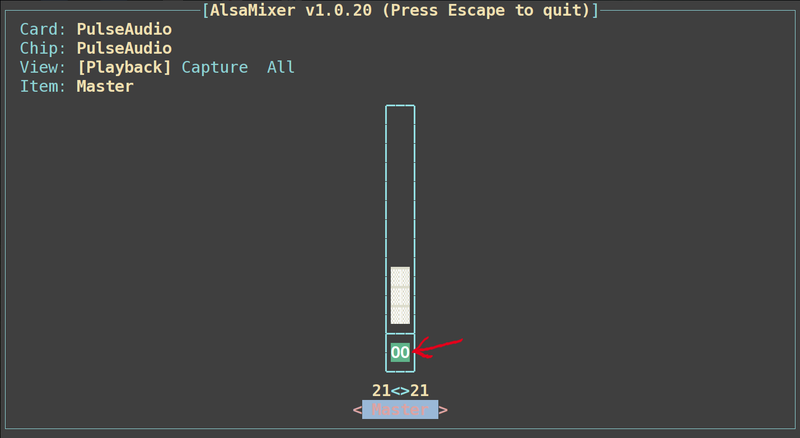 I first thought this was one of the hard-to-understand inventions of the developers before I realized that it is directly connected to the zero-second long tracks. See the above screenshots. Removing the current played track from the playlist makes Amarok jump to the start of the playlist instead of stepping to the „next“ song. It’s annoying. I step into that pitfall over and over again (removing a track and skipping to next song afterwards). Argh! I’m pretty clueless about how the replay-gain feature works. Where’s the automatic gain scanner and volume adjustment I so much loved in Amarok 1.4? I have the suspicion that this setting simply does nothing. My collection has replay-gain tags but songs come out of my speakers at surprisingly (and disturbing) different volume levels. I consider that non-working and thus a bug. Faszinierend finde ich, daß für Bremerhaven bereits die ersten 3D-Gebäude auftauchen. Auch in der Umgebung (z.B. Grundschule Schiffdorf). In Bremerhaven sind aktuell zu sehen – allerdings noch nicht alles sehr detailliert oder hübsch: Columbus Center, AWI, Radarturm, Simon-Loschen-Leuchtturm und einige Museumsschiffe. Vom Columbus Center sind leider nur die Türme drin, nicht der gesamte Komplex inklusive Parkgarage und Einkaufspassage. Außerdem schweben ein paar verwaiste Striche im Himmel. Aber ich bin mir sicher, daß die Gebäude sowieso noch nicht fertig sind und noch daran gefeilt wird. Ich möchte allen 3D-Bastlern hiermit zur guten Arbeit gratulieren und natürlich motivieren, damit weiter zu machen. Ich hätte fast Lust, selbst ein paar Gebäude beizusteuern, was wohl mit Google Sketchup recht einfach zu erledigen wäre – aber leider keine Zeit, mich damit auseinanderzusetzen. Falls ihr noch weitere Gebäude entdeckt oder einstellt, so hinterlaßt doch hier einen Kommentar. Das Bild links/oben ist © Google 2009 sowie weiterer auf dem Bildausschnitt genannter Rechteeigentümer. This update of AdoDBRecord adds vastly improved functionality to the framework: The most interesting features are associations and association proxies. Customization is another important feature which makes the framework easier adoptable to legacy applications. The finder API has been reworked to accept options and is more flexible now. This will be improved even more during the next versions. You can access properties directly now instead of using the attributes array or functions. The association proxies make use of this – they act like properties. Models can be scoped now to provide standard finder options.